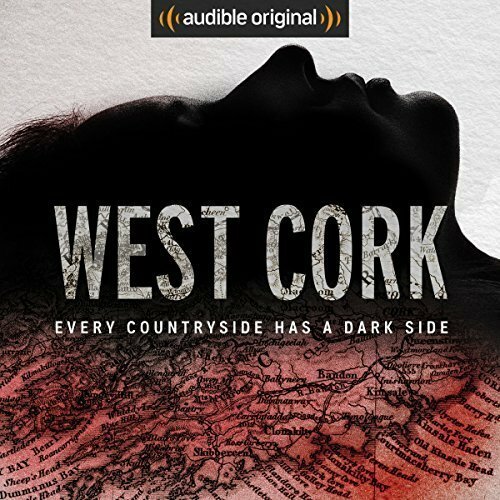 The West Cork podcast on audible has captured the imagination of many people worldwide, not just those in Ireland. The success of true crime documentaries on Netflix (among other locations) has shown a rise in popularity of the genre. This case is set in one of the most unusual spots in Ireland, as far west as you can go in Europe without getting your feet wet! For those that don’t know, the case deals with the death of a French TV producer. On the 23rd of December, 1996, Sophie Toscan du Plantier was murdered at her holiday home near Toormore, Schull in West Cork. She was alone at the time in her house. Her body was found beaten and bloody on her front drive. It remains one of the most famous unsolved murder cases in recent Irish history and the facts surrounding it are hotly disputed. The most unusual thing about how the story is told, from an Irish perspective at least, is how late in the day Ian Bailey is introduced as a possible suspect. We hear his name mentioned earlier, but only as the first reporter to arrive on the scene of the crime or about the stories he was writing for newspapers on the murder. If you’re Irish, those two names are indelibly linked as he is still a suspect in the case, despite not being charged in the 20 years since the murder took place. The case has created thousands of newspaper articles and much debate on TV and radio. The production doesn’t try to solve the case or to give you a set of clues, instead, it’s more of an insight into the world. We hear stories of Ian Bailey from the locals. Some of these individuals are less than reputable, so it allows you to make your own decisions on the veracity of their tales. We hear about Ian walking the roads of Cork at night, for purposes unknown. There are stories about his fascination with the moon and one story of ten lesbians dancing naked around him while he sits reading poetry! While these tales sound like idle chatter, some of them seem to be created by Bailey himself. He is an eccentric character, a former journalist and would be poet who found his way to West Cork and fell in love with the Welsh artist Jules Thomas. He remains there to this day despite the locals fearing he is responsible for the crime. Bizarrely, he sells pizzas at a local farmer’s market on a Saturday morning. The locals describe them as ‘pizza to die for’. The other main characters in this production are the two investigative reporters, Sam Bungey and Jennifer Forde. They remain neutral throughout the story and try to give both sides of the tale. They are open to Ian’s idea that there is a Garda conspiracy against him, while also talking to the police involved in the case and Sophie’s family. While most things you read in papers or online about this case only skim over the top, this one delves much deeper. It is a satisfying and in-depth investigation that also inquires into the more unusual elements of the story. The podcast is left on something of a knife-edge, with the later episodes discussing more recent occurrences in the case. There is the possibility of more podcasts at some point in the future continuing the tale, and we wait with bated breath!